Note- I am divorced now but because I feel that the books in this article helped me so much during my marriage, I left this article up. Love can be LEARNED and UNLEARNED. We are often forgetting things we know at one time or another. For example, do you remember everything you learned in Calculus? How about all the countries in the world and their major water sources that you had to memorize in Jr. High? No, nor do I. In just the same way we need to learn and relearn ways to help our relationships and marriage. 1. 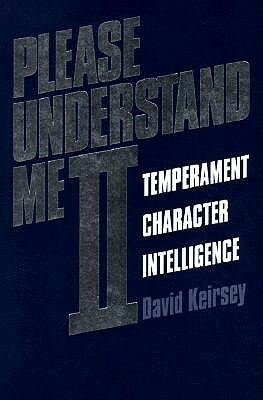 Please Understand Me 2 by David Keirsey – This is the most accurate book on personalities and understanding personalities that I have ever read. And being a student of human relations and psychology for years I have read a lot! This book has been used by over 40 million people worldwide. Many business’ use it as well. So I encourage you to either rent the book from the library, try the test out for free, or even buy it. I can almost guarantee you will see that it is accurate and it will help you understand yourself and your spouse better. Understanding why we do the things we do is major in marriage. Further, there is a section on relationships and romance that explains how each type of person gets along with each other and communicates. Even if you aren’t married or in a relationship this book is a MUST READ! You can take the test for free here as well. 2. 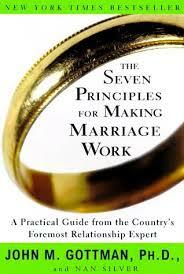 The Seven Principles for Making Marriage Work: A Practical Guide from the Country’s Foremost Relationship Expert. By Dr. John M. Gottman– Wow! All I can say is that I’m soooo grateful for this book. It was given to me by my uncle. My husband and I read it on one of our first road trips as newlyweds. We learned probably the most influential things I’ve learned about marriage. John M. Gottman the author studied multiple marriages for years and years (observing couples for a select amount of time through cameras and microphones placed in kitchens and other public rooms). He then kept track of these couples and made notes of which stayed married for years to come and which ones got divorced. Using this research he then pinpointed what made the difference between the marriages that lasted and those that didn’t. They were shockingly simple like: sharing things with each other and communicating about the small stuff. Laughing off arguments instead of sitting down and hashing them out. There are multiple other treasures in this book and I highly, highly, highly, recommend reading it! Any book by John M Gottoman on marriage and relationships is a MUST READ for me. 3. 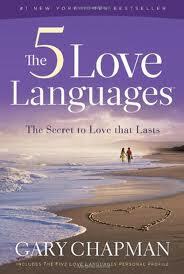 The Five Love Languages by Gary D Chapman– Everyone feels love in a certain way. Physical Touch, Words of Affirmation, Quality Time, Gift Giving, and Acts of Service. Not only is it really great to learn how to optimally show your husband or wife love, but it can help you communicate to them what you really hold dear. I’d highly recommend taking it and having your spouse take it too. 4. 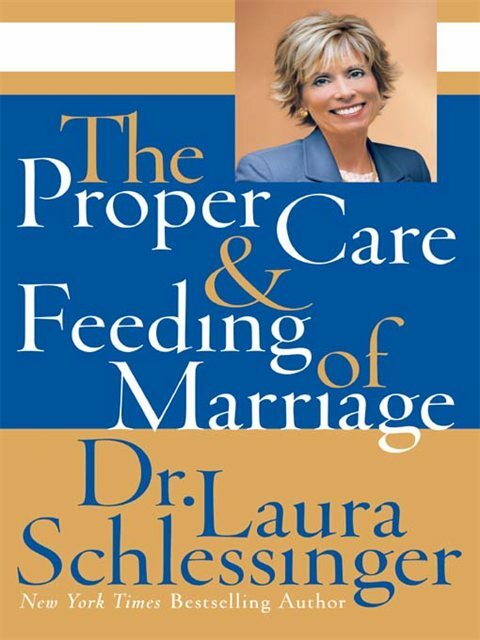 The Proper Care and Feeding of Marriage Dr. Laura Schlessinger- This book will show you how to turn a resentful spouse into a love-struck-twitterpated partner again. Her advice works! The book is based on what make both genders feel valued and appreciated. If both sides are willing to work at it her recommendations do work. She doesn’t sugar coat things and tells it how it is. 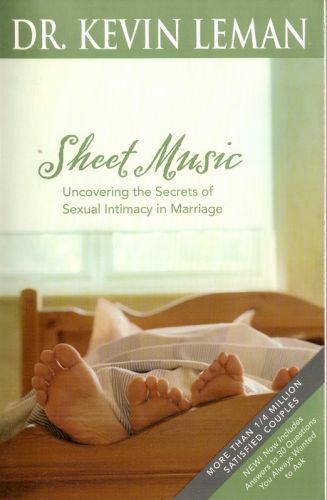 An awesome book that will help ‘spice up’ intimacy in marriage. Click through to read more reviews. For other ‘living rich’ and love & marriage tips please subscribe, like me on Facebook, and follow me on Pinterest. What books have added spice and strength to your relationships? The Meaning of Marriage by Timothy Keller is also really good. Thank you for the suggestion. I’ll have to read it! which one of these would u recommend for women that have no libido? Christina- These books aren’t going to really help with a lack of libido. In fact, they may make you feel worse. The Proper Care and Feeding of Marraiges talks a lot about being intimate and often so I’d avoid that one (it will probably make you feel guilty). I can understand that a lack of libido is a struggle in marriage for sure and is a REAL struggle for many women and men. Luckily, I never have struggled with this issue, but here are maybe a few ideas of what may help. I really like the book, “The act of marriage after 40” it addresses a lack of libido and the author is a very respectable man. His first book, The act of marriage: the Beauty of sexual love has been VERY helpful for intimacy for me and many, many people I know. Also, if you don’t want to go to a Dr. and try medication (or perhaps before you do) I’d recommend trying out essential oils. I’m a big believer of essential oils (trust me they work on a variety of bodily ailments!) and there are a few that act as aphrodisiacs and increase libido. The most commonly known and used Aphrodisiac and romantic essential oils are: Neroli, Rose, Ylang ylang, Sandalwood, Patchouli, orange, and Jasmine… This is actually a very high quality (and inexpensive) oil that is a sensual blend. You could try diffusing it in the air or applying it as instructed. Give it a week or two of consistent use and see if it works. Sacred Marriage was my recommendation, too. Jill- I’ll read that one as well. Thanks for the recommendation! Oh my gosh, that’s so funny because I’m not married, but Please Understand Me II and The 5 Love Languages are what I recommend to all stage managers to get used to working with such a wide variety of personality types and to really be able to show their appreciation in ways that will read best to those personality types! Mel- Wow that is awesome. Yes, they are very useful books for any and everyone! Thanks for your comment. I’m glad you utilize these awesome books with your managers because they are probably much better managers for it! Love and War by John and Staci Eldridge is awesome. It really shows how Christ is in the center of it all. I have been married 28 years and think that these books look very interesting. Thanks it always takes work to keep a marriage happy. K oneill- Yes it does take work, A LOT of work sometimes. But it is worth it 🙂 Congratulations on being married for 28 years! I love the Love and Respect Series. They have videos and books! Also for our Marriage counseling my husband and I had to use The Exemplary Husband: A Biblical Perspective, The Excellent Wife: A Biblical Perspective! Great books!! Ones you could read years later and have it apply in a whole new way! Rachel- Thanks for the great recommendations! I appreciate it. This Love and Respect Series has great reviews. The Exemplary Husband and The Excellent Wife have great reviews on Amazon as well. I will definitely check them out. Thanks! The Proper Care and Feeding of Marriage is awesome! At first glance it may come across as sexist, but it absolutely is not. Such great info on how to show love in a way that your spouse recognizes. Great book! Cathy- I totally agree with this! It does seem like that is where the book is heading but its not! It’s just a different way to look at the relationship between husband and wife which I’ve found helpful. How we love by Milan and Kay yerkovich is great! The Act of Marriage was recommended to my husband and I during our marriage counseling prior to getting married. Excellent read! It put a lot of things into perspective about getting married and things to expect after marriage. This is a fantastic book! I read it before marriage and have suggested it to many engaged couples. I’ve even suggested it to some married friends who needed help in the ‘spicing up’ area and they found it very useful. Thanks so much for mentioning the book! Based on your list, I think you’d love “Wife for Life” by Ramona Zabriskie. She talks a lot about the WHY of marriage and how to build a grand marriage. It’s a book I refer to often!